BERLIN — Five South Koreans have been arrested on suspicion of murder following the death of a relative in an exorcism ritual, German officials said Thursday. 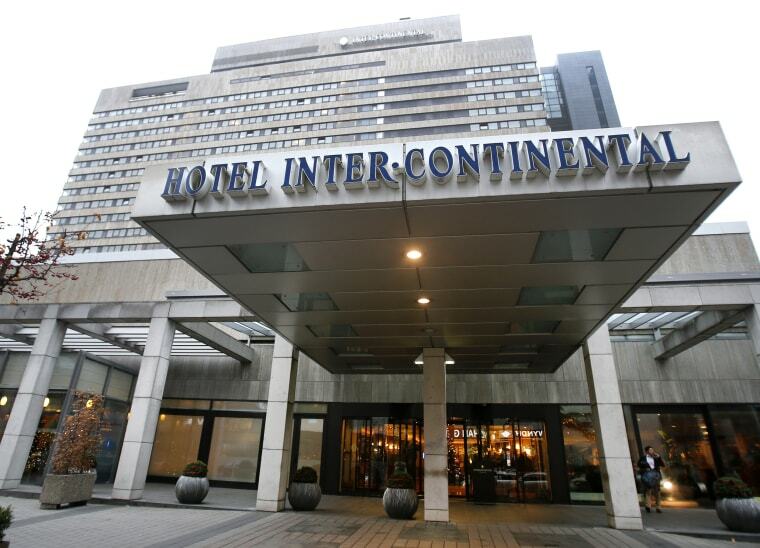 Officers discovered the body of the 41-year-old woman in a Frankfurt hotel room Saturday when the suspects called a priest after it became apparent that the victim had died, prosecutor Nadja Niesen said. She identified the suspects as relatives of the victim — a 44-year-old woman, her 21-year-old son and 19-year-old daughter, and two 15-year-old boys, one of whom is the son of the dead woman. Niesen said the suspects wanted to expel a "demon" they believed had possessed the woman. They exerted "massive force on her chest and stomach area" while stuffing a towel and clothes hanger into her mouth to stop her screaming, she said. "According to our current information the suspects subjected the victim to pain and agony for at least two hours, and their actions were motivated by a callous and merciless attitude," Niesen added. "The woman eventually died from asphyxiation as a result of the massive chest compression and violence to her neck." A second woman, also aged 41, was found inside the garage of the house the family had rented, said Niesen. She was taken to a hospital suffering from hypothermia and dehydration. "It's not clear exactly what happened to her, we are still investigating that," Niesen said.